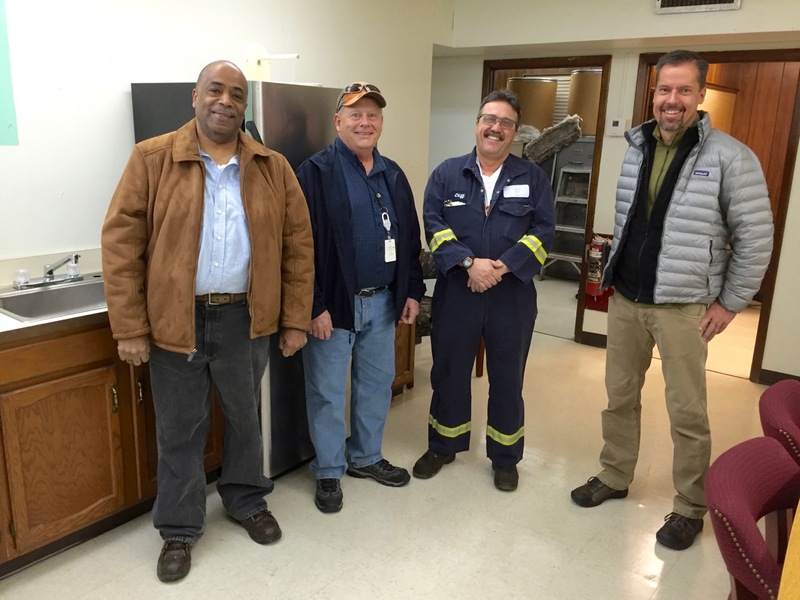 Members of Communication Workers of America (CWA) Local 2001 donated around 25,000 pounds of food during the final five weeks of the United Food Operation (UFO) winter food distribution program. This massive influx of food allowed the program to end its seasonal distribution on a positive note. 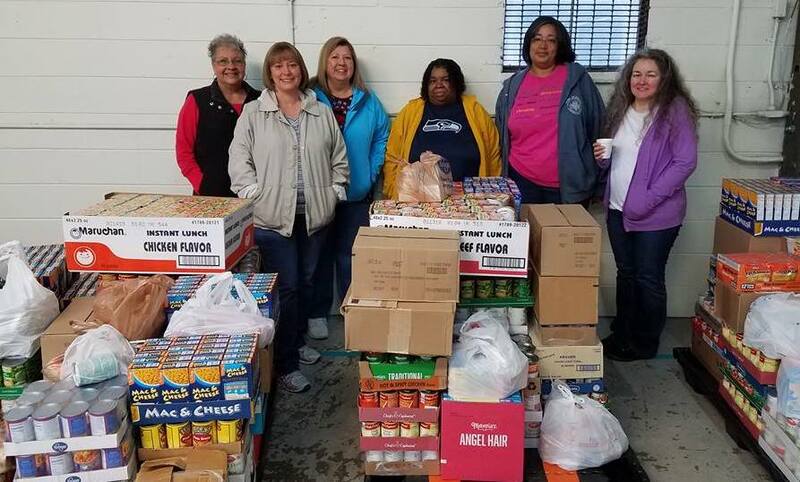 CWA members and some to the food they donated to United Food Operation during the final month of the 2017 campaign. UFO had feared that it would not get through its 12-week food distribution season this year without severe cutbacks in food quantity toward the end. The CWA donations kept that from happening. UFO chairperson Elaine Harris lauded the efforts of the CWA members. “It made a huge difference.,” Harris said. 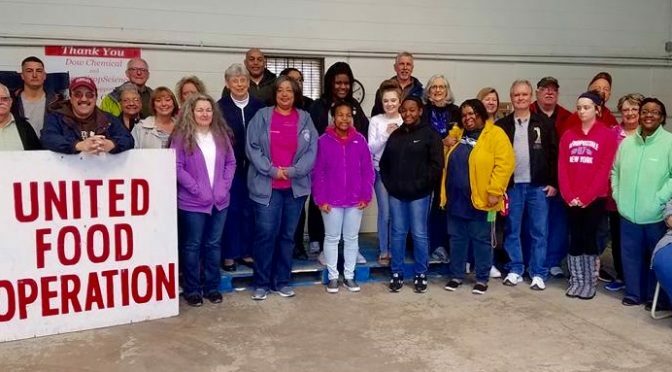 The CWA members, who are employed by Frontier Communications in the Charleston WV area, performed all kinds of fundraising strategies on and off the workplace. Then, they vigorously shopped sales at area grocery chains to stretch every dollar to its maximum and also to obtain some matching donations and extra discounts from the stores. Joe Gresham, manager of UFO’s warehouse, said it was amazing and inspirational to see the food roll in. CWA brought in 28 pallets loaded with about 43,000 food items. Gresham said the CWA food allowed the UFO program to end this year in the black. Representatives of the 12 local food pantries supported by UFO said the extra food was so welcomed. They were especially appreciative that CWA took the time to find out the items most needed by the pantries before they went shopping. This ensured that the items donated would not go to waste. We love our volunteers. Thank you. United Food Operation is blessed with so many great people and businesses donate who so freely donate of their time and money. We could always use more, but the ones we have are golden. 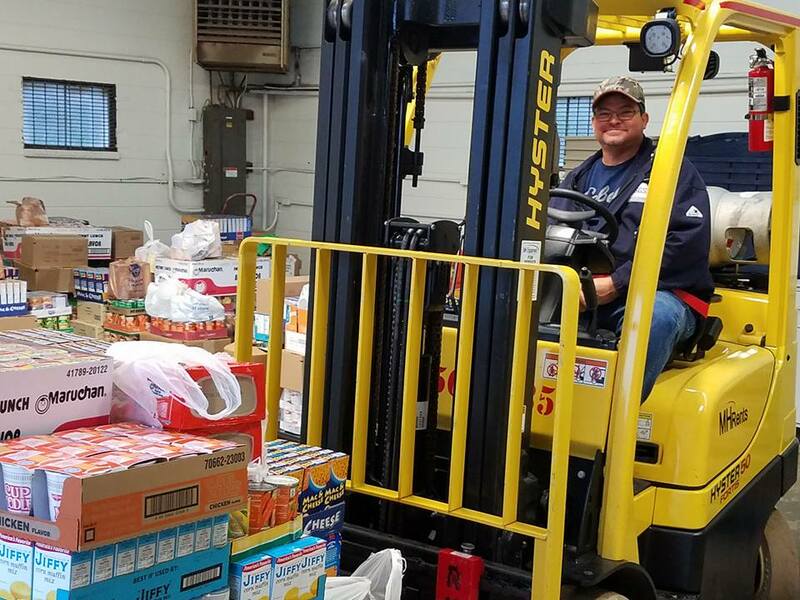 Beyond the CWA members, some volunteer stars of last weekend include Girl Scout Troop 2384 of Dunbar, WV; forklift operator Jerry Miller of SGS Petroleum Services; and MH Equipment of Cross Lanes, WV that donated the use of the forklift for the season. These are the kinds of efforts that make all the difference. 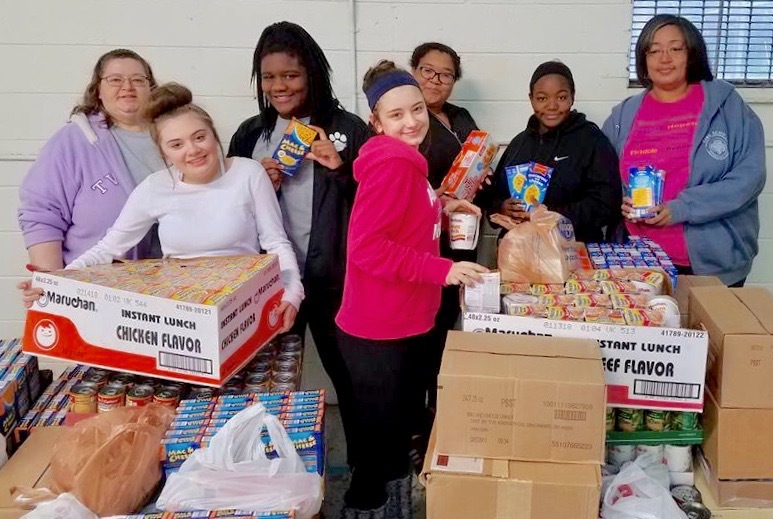 Volunteers from Girl Scout Troop 2384 in Dunbar, WV, prepare to help load pantry trucks with the food donated by CWA Local 2001. Volunteer Jerry Miller, who is employed by SGS Petroleum Services, worked every weekend of the 12-week 2017 food distribution period. Use of the forklift was donated by MH Equipment of Cross Lanes, WV. The 2017 United Food Operation (UFO) food distribution program will kickoff on Friday, January 13 at 11:00 A.M. and run through April 1, announced Elaine Harris, chairperson of the group. 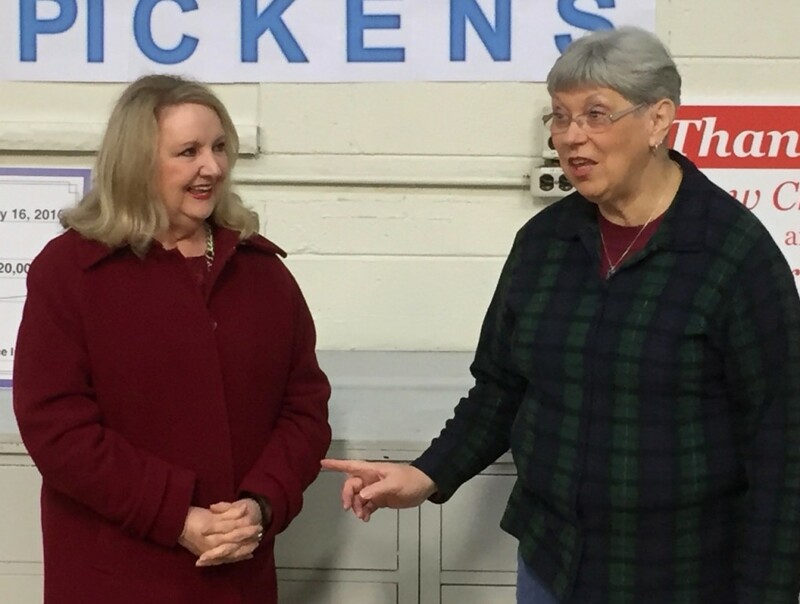 Volunteers from the St. Albans Food Pantry are among the many who donate their time to United Food Operation. Donations are needed to help feed the needy this winter. The 12 UFO participating food pantries are all experiencing increased needs this season, so the organization expects to use all the help it can get this year. 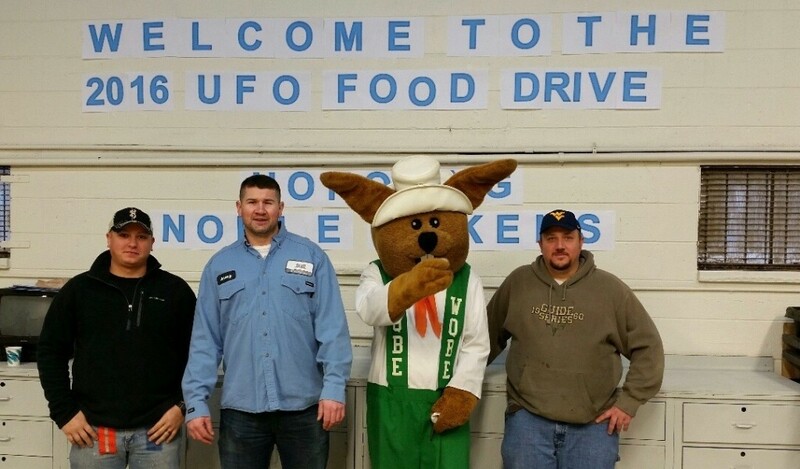 Since 1982, UFO raises funds around the year and uses them each winter to purchase bulk foods needed by community food pantries around Kanawha and Putnam counties. Food is distributed to the pantries on Saturdays for 12 weeks each winter. Volunteers from local industry ensure that United Food Operation gets the food to the pantries. To support feeding needy people in our community, area businesses can collect funds or food during the winter season and UFO will take care of getting food to the community food pantries. UFO charges no overhead on monetary contributions. All the funds go to support food distributions in the Kanawha Valley area. 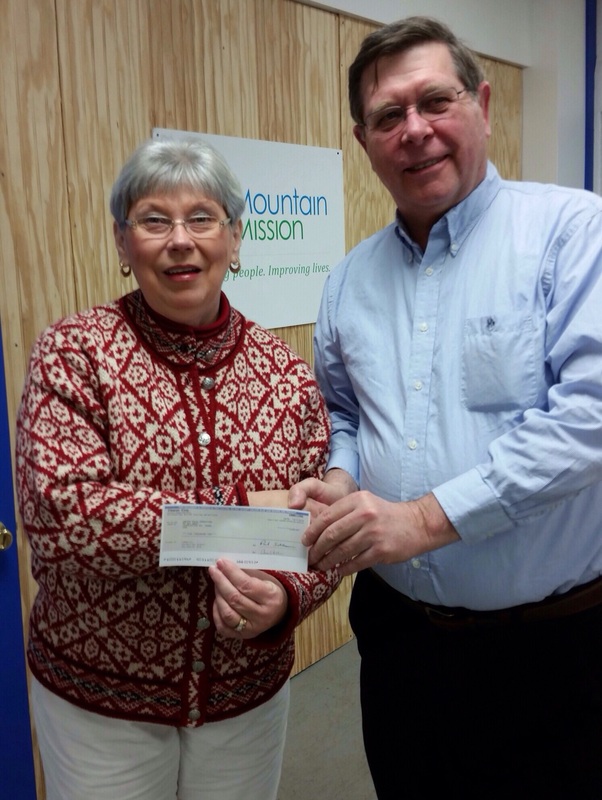 UFO Chairperson Elaine Harris accepts a donation from ICL Group, ( formerly known as Clearon) represented by John Kadlec, Director of Operations, South Charleston plant. 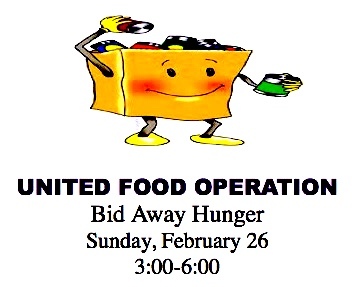 United Food Operation is an all-volunteer group that operates as a 501c(3) charitable organization. No salaries are paid and the group runs with donated labor and equipment out of donated warehouse space at the Institute Industrial Park. Dow Chemical Company maintains the warehouse facility on behalf of the group. Founded in 1981, the group conducted its first winter season food distribution program in 1982. 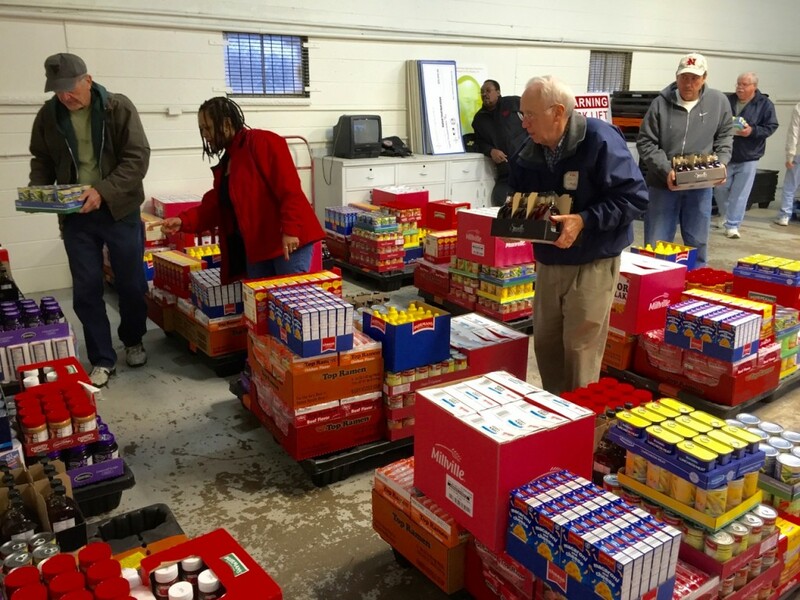 This winter will be the 36th annual food distribution. 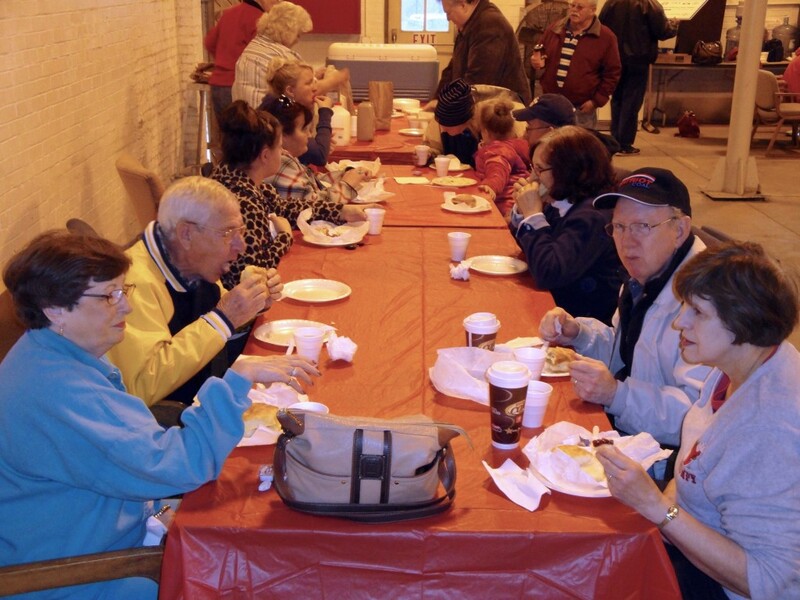 The annual United Food Operation volunteer appreciation breakfast is set for Saturday, April 2 at 8:30 AM. 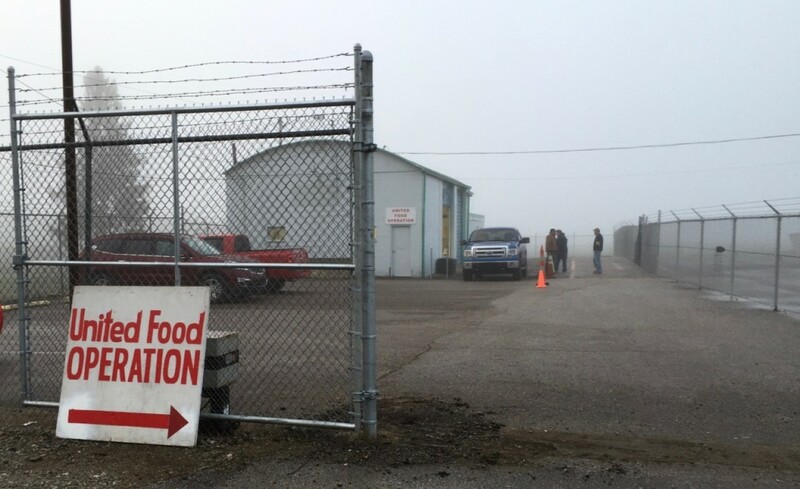 The breakfast will be served at the United Food Operation headquarters in Institute, WV. A traditional West Virginia menu of eggs, bacon, sausage, biscuits, gravy, jellies, coffee, juice, and milk will be served. All UFO and food pantry volunteers are invited to attend free of charge. Those interested should RSVP to Nancy Grist at ngrist@cwa-union.org or 304-342-2023 by Monday, March 28. Following breakfast, a short organizational meeting will be held, during which volunteers will be recognized. All food UFO & pantry staff, volunteers, and board members are invited. At the end of the meeting, participating pantries will pick up their loads of food as usual. 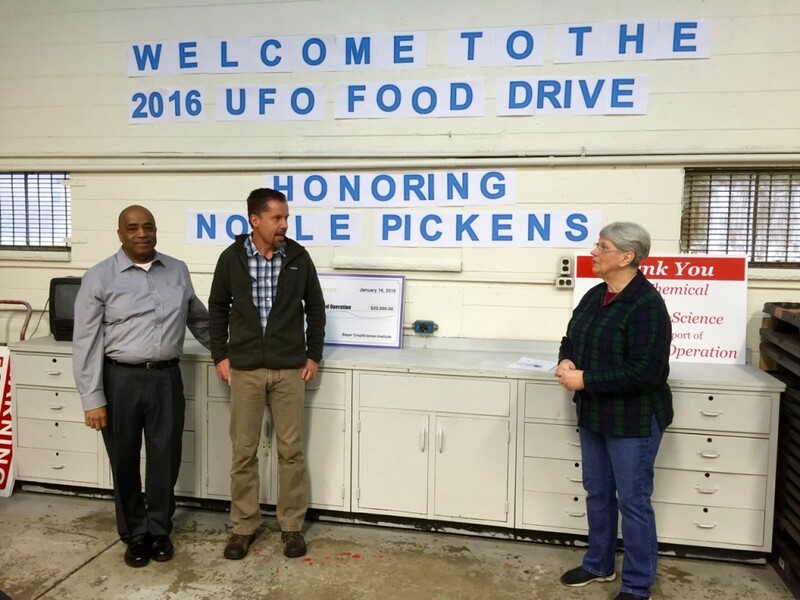 The event will wrap up the 2016 UFO winter food distribution program. The next UFO activity will be the National Association of Letter Carriers annual food drive on Saturday, May 14. Volunteers are needed. 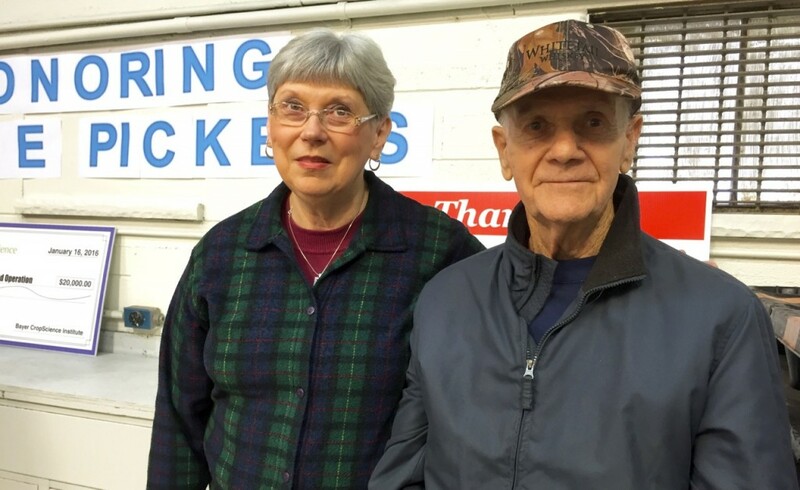 The 2016 United Food Operation, Inc. winter food distribution program will begin on January 8 and conclude on April 2 at a new distribution warehouse facility in Institute, WV. Dow Chemical Company has donated a new and improved warehouse space for UFO to use at the Institute Industrial Park — in a part of the park that Dow recently purchased from Bayer CropScience. Over the past few months the facility, which is located across Route 25 from the Institute Post Office, was extensively renovated by Bayer Crop Science to prepare it for UFO’s use. To recognize Bayer CropScience and Dow for their donations and to familiarize the community with the new space, UFO will hold an open house and fundraiser there on Saturday, January 16 from 10:00 A.M. until noon. 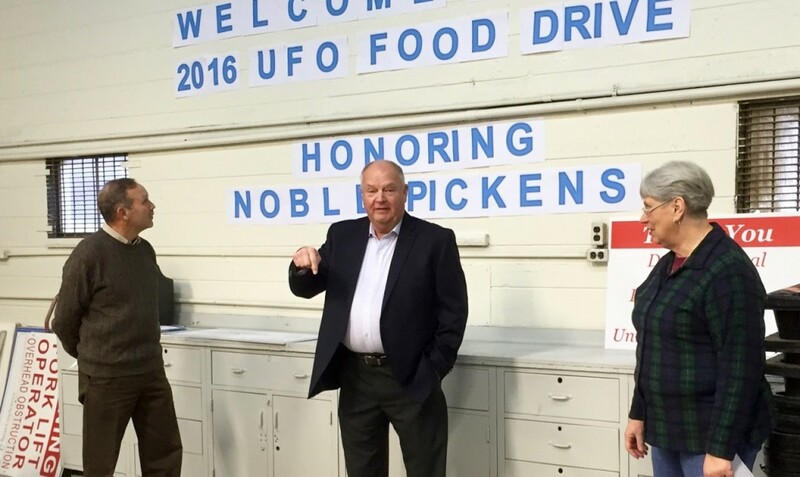 The 2016 winter program will mark the 34th year of UFO food distributions. 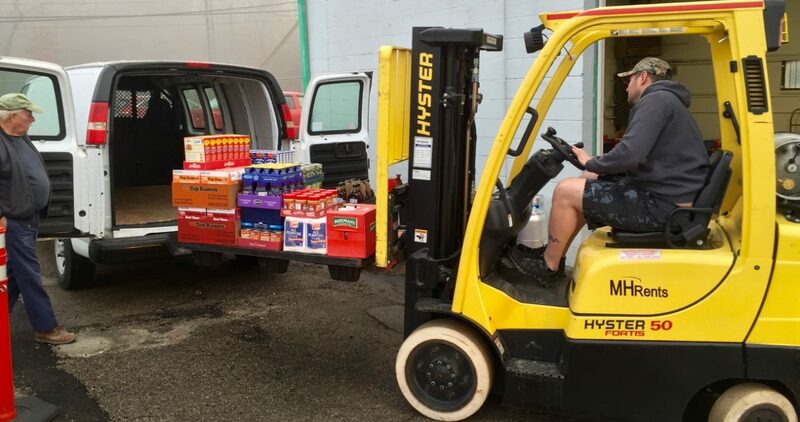 During the annual program period, the group provides weekly distributions of much-needed foodstuffs—free-of-charge—to 12 independent food pantries located throughout Kanawha and Putnam counties. For more information on UFO volunteer opportunities or the upcoming open house, call 304-342-2023 (8:00 am – 4:00 pm, Monday–Friday). 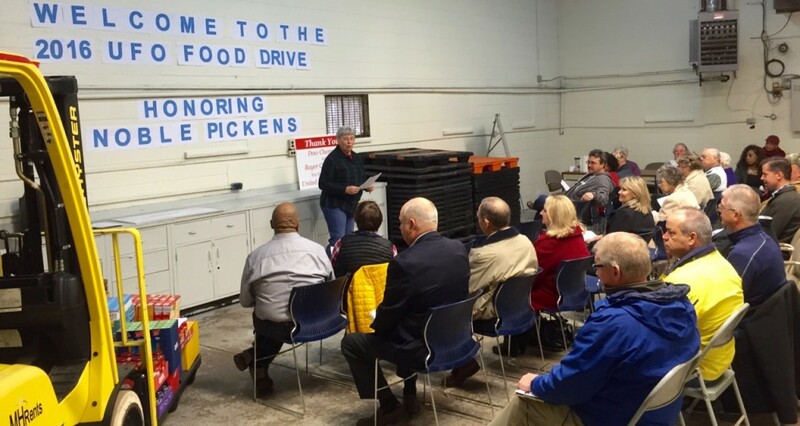 United Food Operation, Inc. will hold the organizational meeting for its 2016 campaign on Thursday, December 10. The meeting will be hosted by Dow Chemical Company at its Institute, WV facility. At the meeting, the dates for the 2106 Winter Food Distribution Program will be announced. UFO will also disclose the new location of its food distribution center. The group had to move from its former space following the repurposing of the building in which it was located after Bayer CropScience sold the property earlier this year. 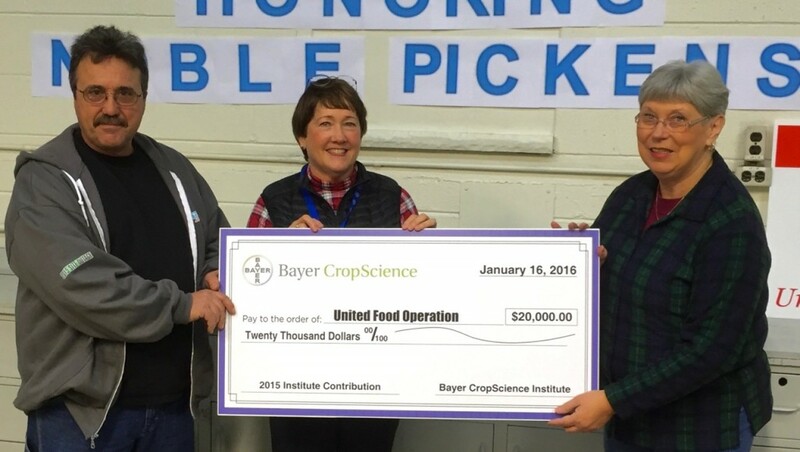 The UFO board expressed their gratitude to Bayer for its generous support over the past decade. 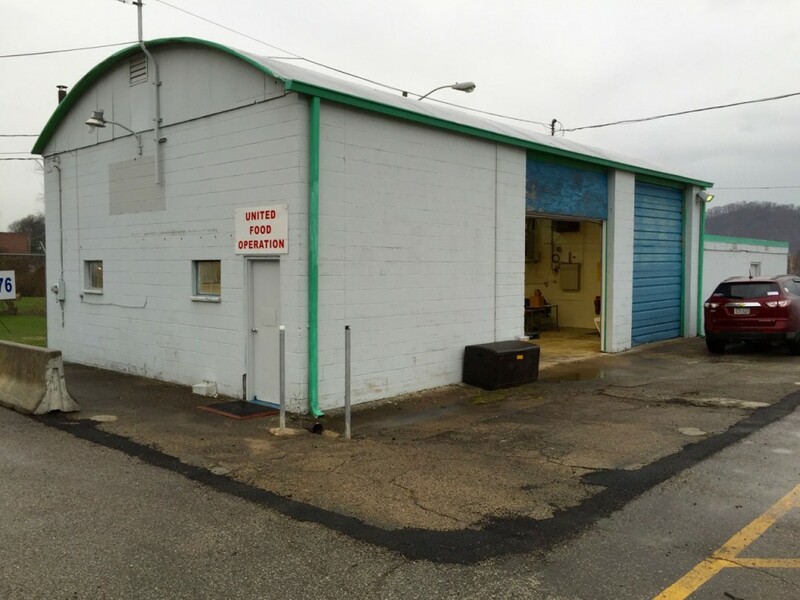 UFO is thankful to have had the use of the BayerCropScience warehouse space for those many years. As part of the meeting agenda, representatives of the participating food pantries will help UFO leaders assess the current need for food in the region. UFO anticipates a strong demand for food this winter given the region’s weak economy and high unemployment. Plans for fundraising will also be discussed. For additional information on the meeting, please call 304-342-2023.